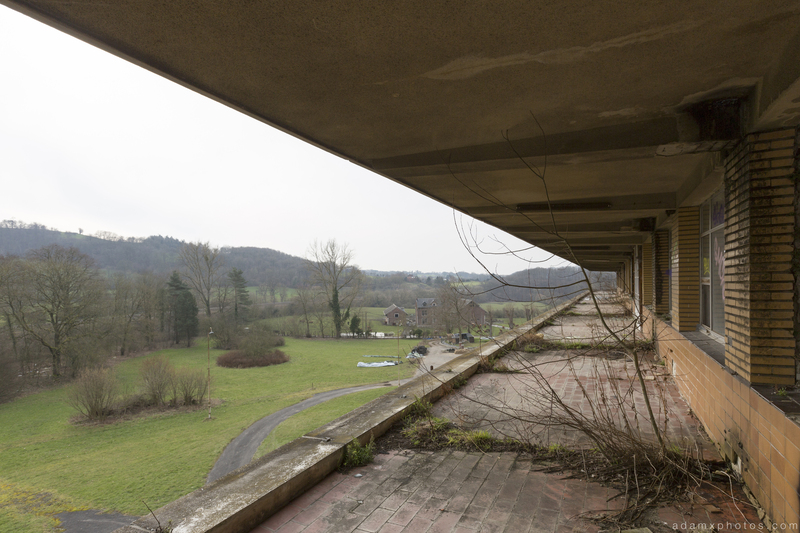 After our epic morning exploring the kaue of Zeche M / Heinz James and I headed across the border into Belgium. 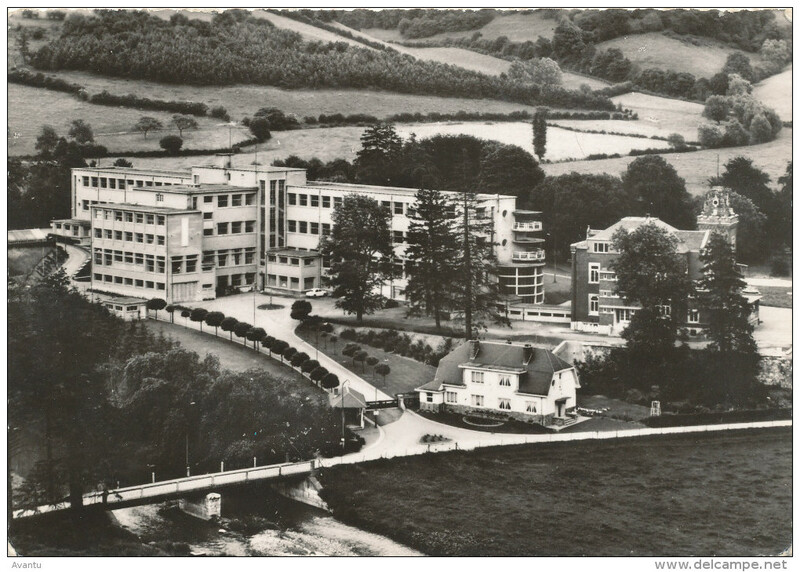 We were on our way to our next target when we suddenly spotted a familiar-looking building up on the hillside across the valley we were driving through – it was an old derelict Tuberculosis hospital. 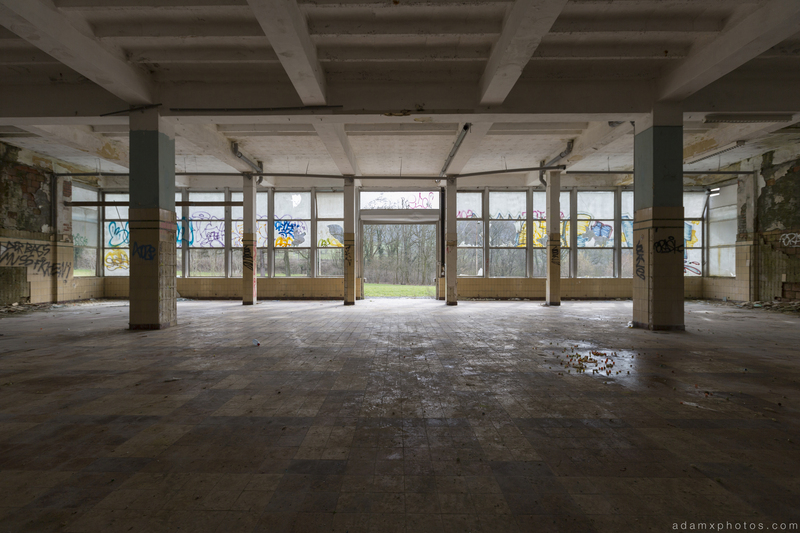 We decided it would be rude not to pop in for 10 minutes! 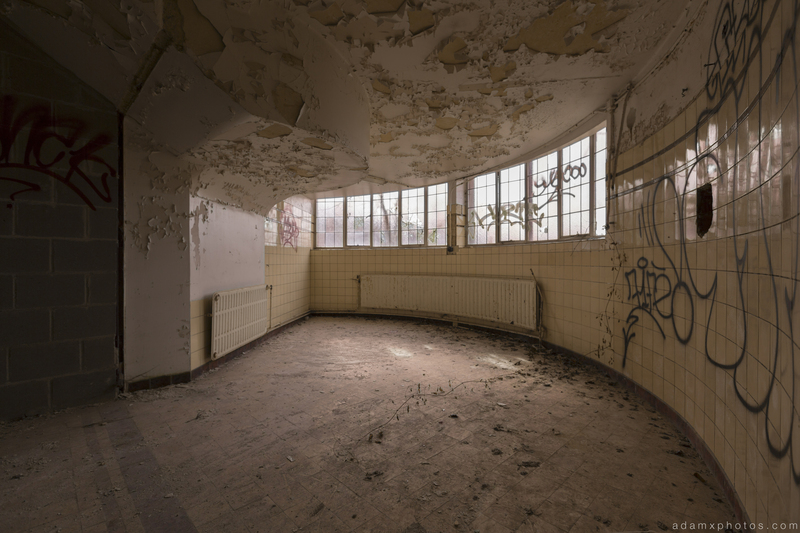 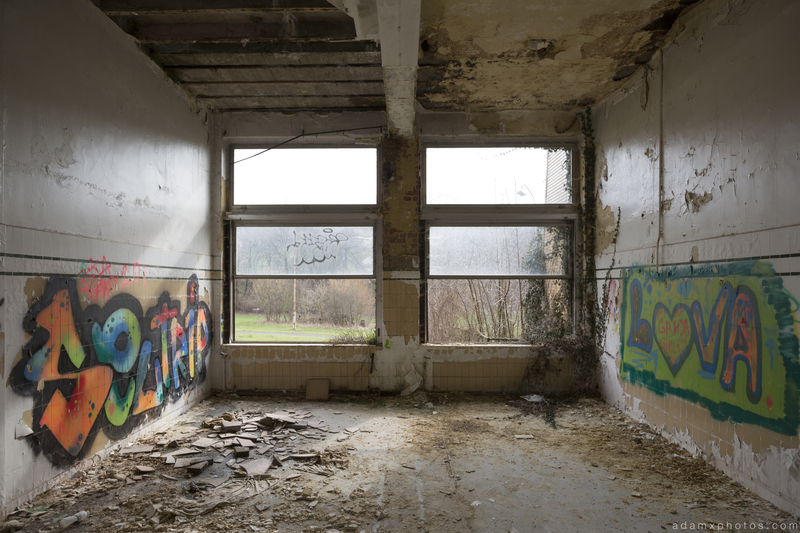 Built in the 1950s in the quiet town of Dolhain near Liege, the preventorium had about 150 beds and was used to treat children infected with tuberculosis. 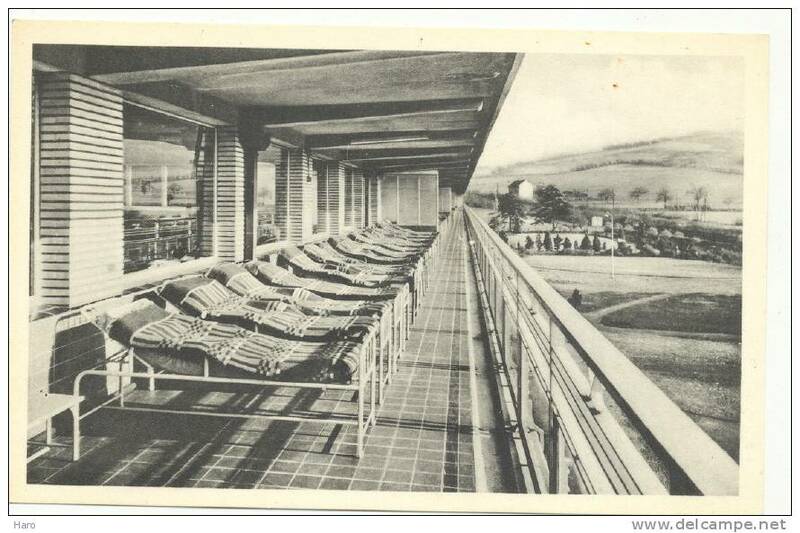 Whereas ‘sanatoriums’ were used to treat patients with full blown symptoms, ‘preventoriums’ were intended to specialise in treating those in the earliest stages of infection. 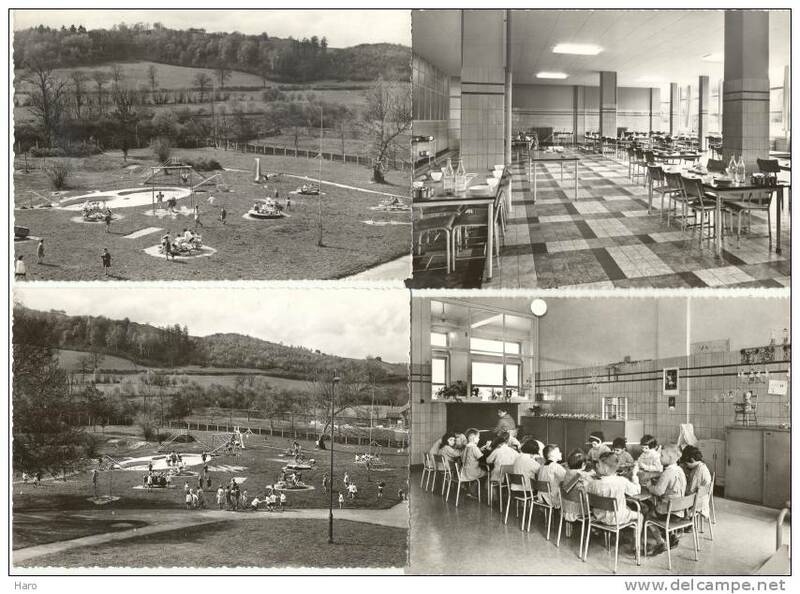 The preventorium at Dolhain was only open for about three decades, closing in the 1980s after advances in modern medicine meant that TB had been virtually eradicated and the facility was therefore no longer required. 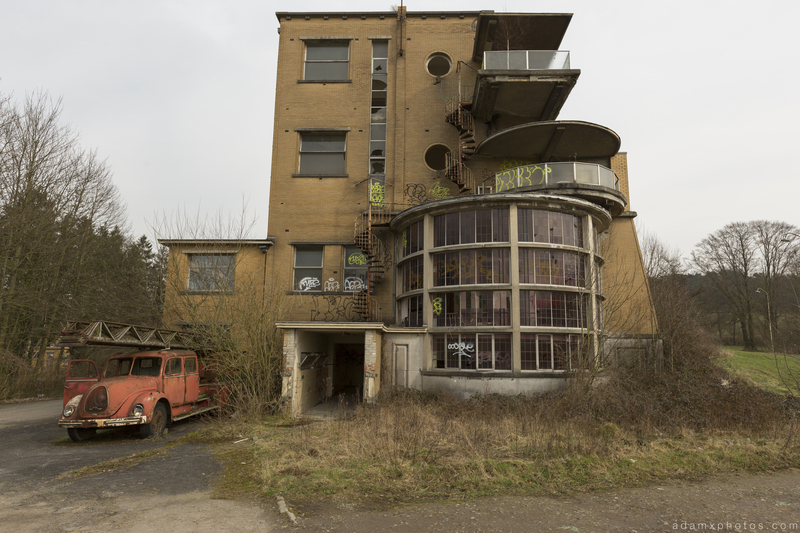 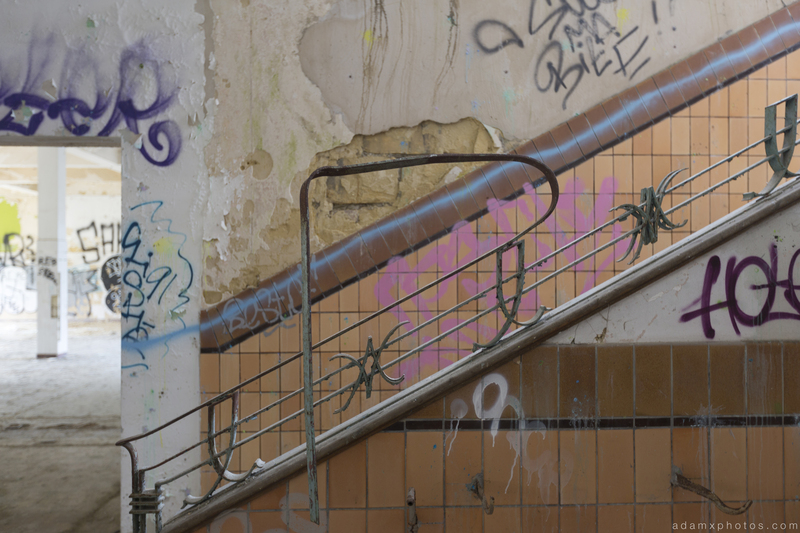 After closure the site was owned by the province of Liege, before being sold in 1991 to local businessman Kurt Meyer who intended to convert the building into exclusive loft apartments. 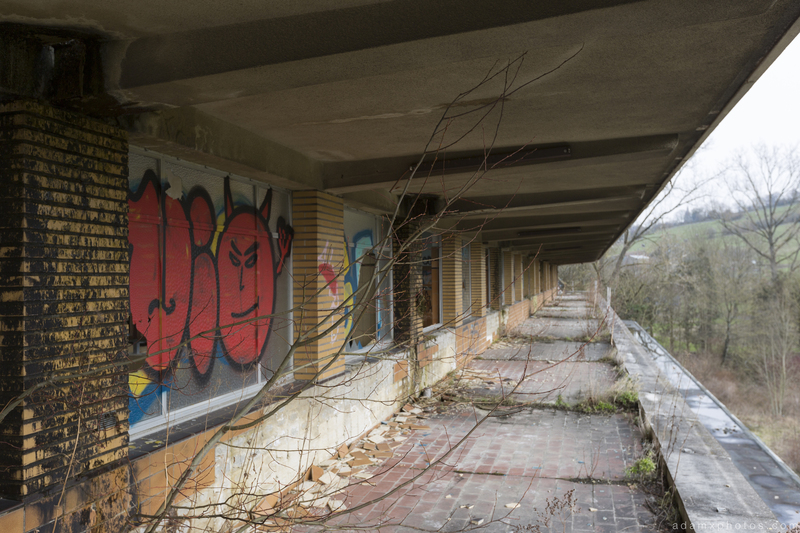 However those plans stalled, and the site has fallen rapidly into decay and vandalism. 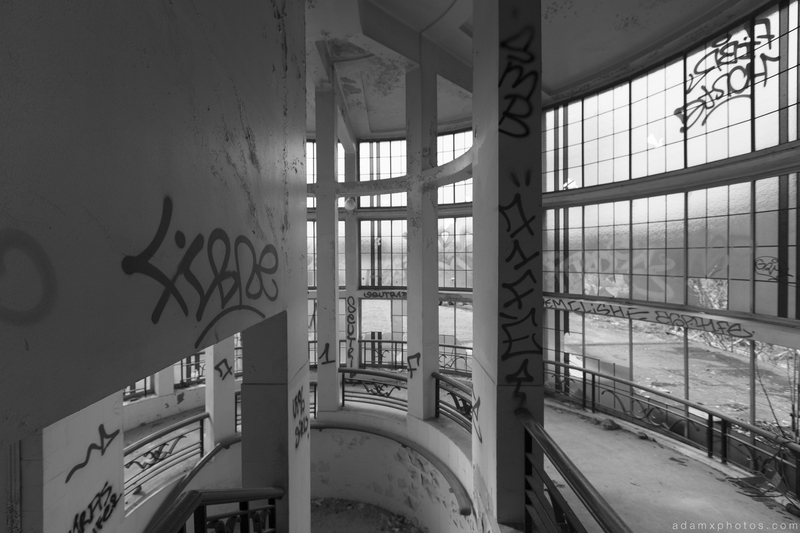 We drove right up to the front door, spent about 10 minutes running around taking a few shots, and were then on our way. 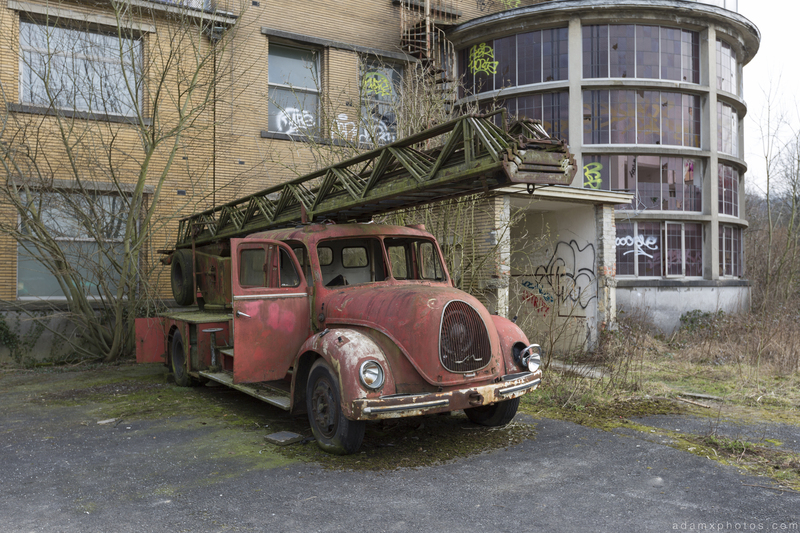 As you will see the place is absolutely stripped out and trashed these days, but it was still good to see the nice remaining features of interest – mainly art deco style front curved windows and the knackered old fire engine rusting in front. 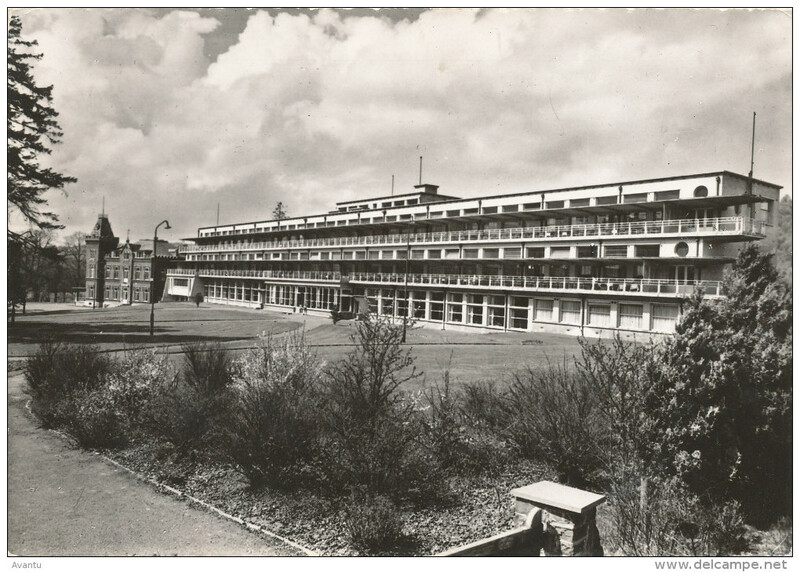 …how it looked when the hospital was open. 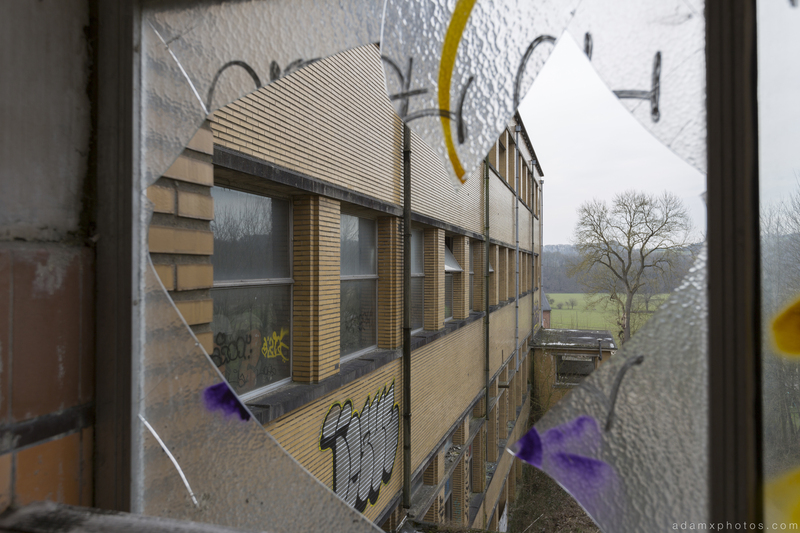 This entry was posted in Hospitals & Asylums and tagged 2016, abandoned, access, Adam X, Ceiling, Closed, damaged, dangerous, decayed, decaying, derelict, detail, Disused, Exploration, exploring, Exterior, external, Fire, Graffiti, history, inside, Interior, location, old, Old photos, outside, photo, photograph, photographs, Photos, Preventorium, Preventorium Dolhain, Preventorium provincial de dolhain, report, TB Hospital, The Smell of Cheap Cologne Tour, Tuberculosis, UE, Urban, Urban Exploration, Urbex by Adam X. Bookmark the permalink.